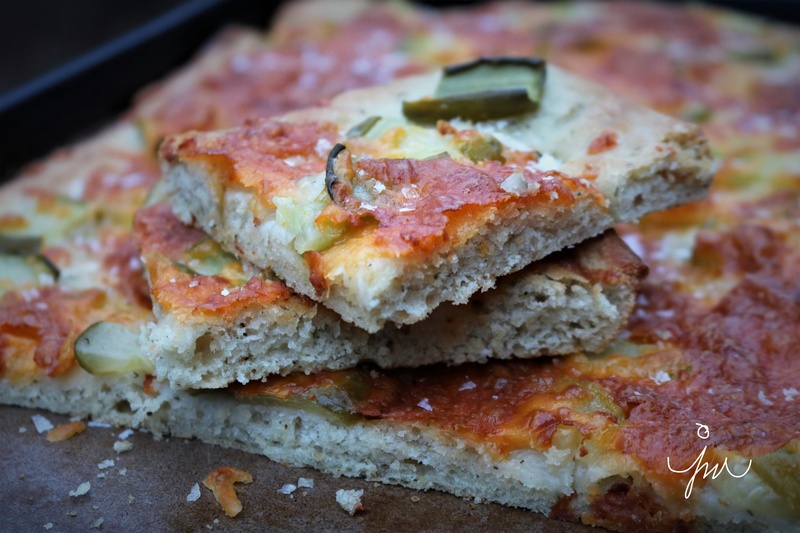 Easy Dill Pickle Focaccia Bread. 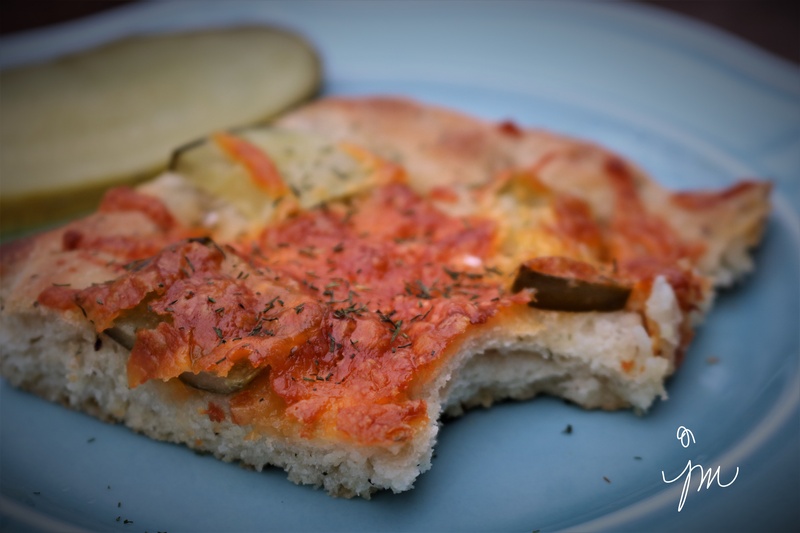 Calling all dill pickle lovers! 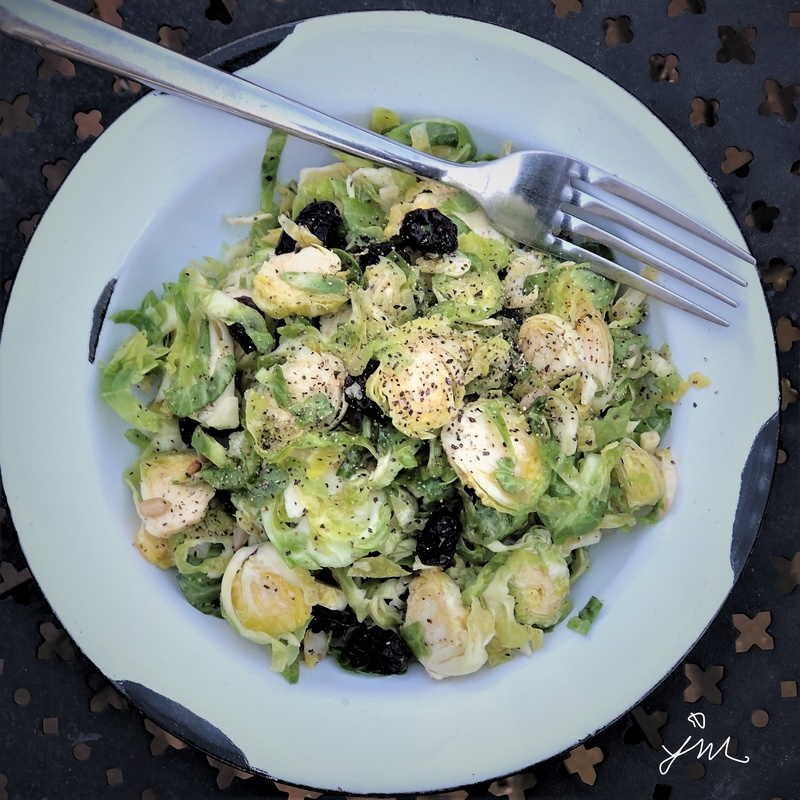 Calling all lovers of easy recipes that rock! 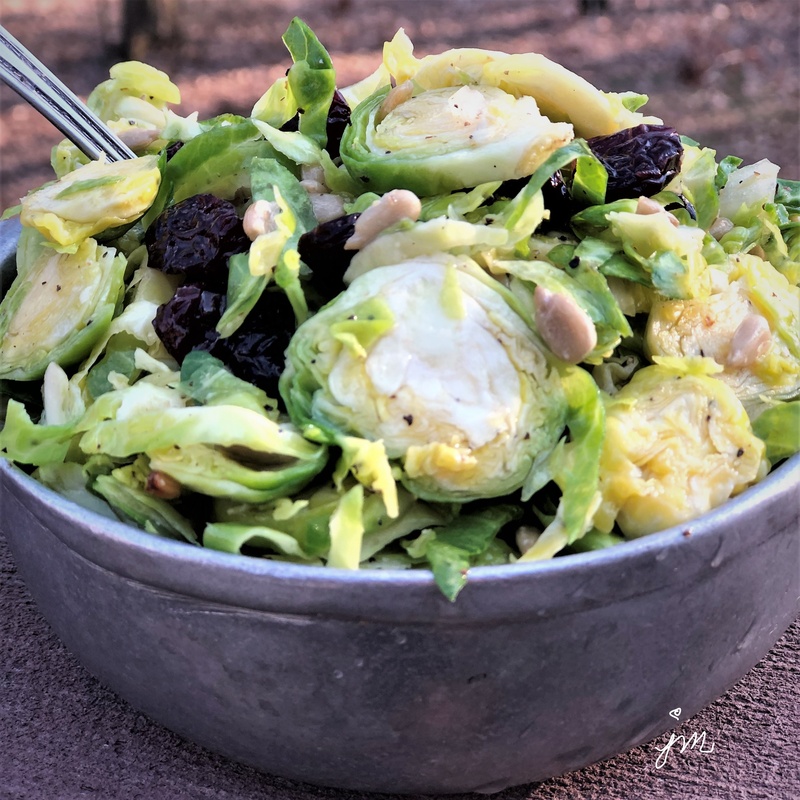 My cousin, who I affectionately refer to as “Oh Rob,” recently shared this recipe he made for his pickle-loving grandson. Oh Rob loves to bake bread, and he loves his grandson even more! 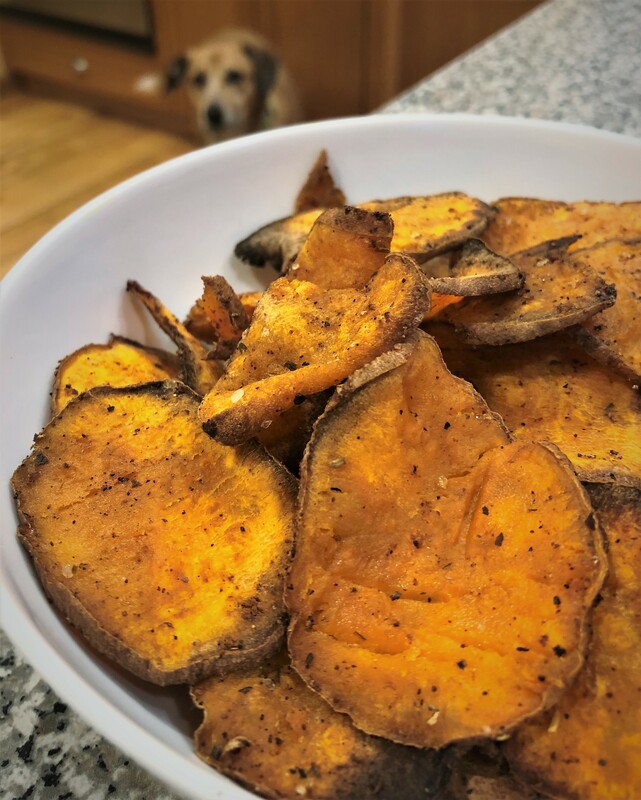 This recipe was a match made in heaven for these two. The idea really intrigued me and sounded so good. I knew I had to try it. We are a dill pickle lovin’ family too. And who doesn’t love bread?! So I ever so slightly adapted the recipe and made it this past Sunday for dinner to serve along with spaghetti. We loved it! Give it a try, and let me know what you think. Here is how I made it. Combine warm water, warm pickle juice, sugar, and yeast in a medium bowl or measuring cup. Let stand 10 minutes. Whisk together flour, dill, salt, and pepper in a medium bowl. Add pickle juice mixture and 2 tablespoons of the oil; stir until combined and dough begins to pull away from sides of bowl. Turn dough out onto a lightly floured surface, and knead until smooth and stretchy. Drizzle 1 teaspoon of the oil in the bowl to coat; add dough, and turn to coat. Cover with towel, and let stand in a warm place until dough has doubled in size. Preheat oven to 425°F. Punch down dough. Place on a lightly oiled 18- x 13-inch rimmed baking stone sheet. Press and stretch dough to edges of baking sheet. Cover with towel, and let stand in a warm place 15 minutes. Using the end of a wooden spoon, make indentions evenly over dough. 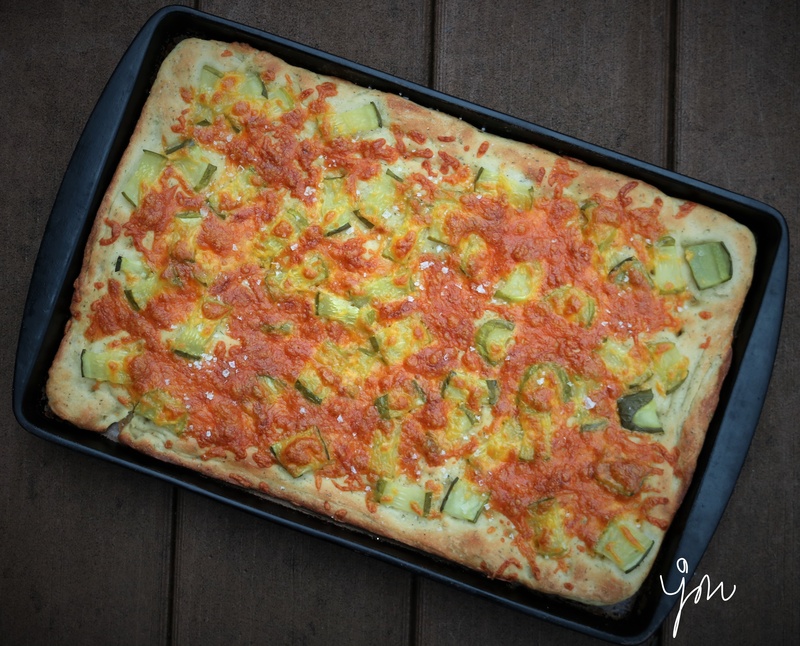 Top evenly with cheese and pickles. Bake until lightly golden and cooked through, approximately 20 minutes. Sprinkle top with sea salt flakes, if desired. PS I will be taking a holiday blogging break until after Christmas and the New Year. Wishing you all the joy of this festive season! 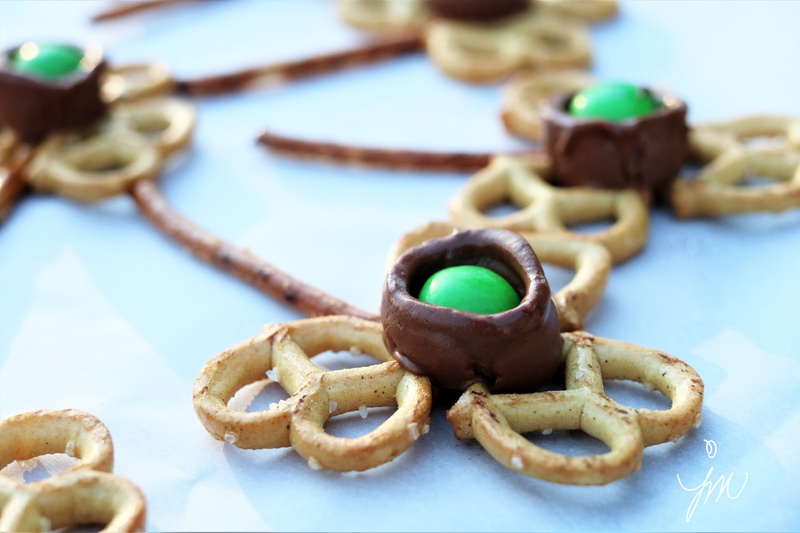 It’s December, and that means time to start Christmas cookie baking! 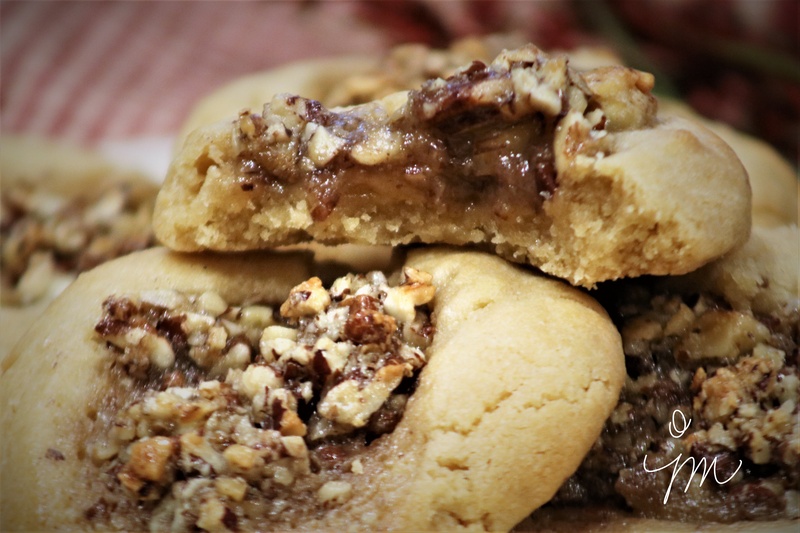 These cookies are a wonderful version of pecan pie in a cookie! 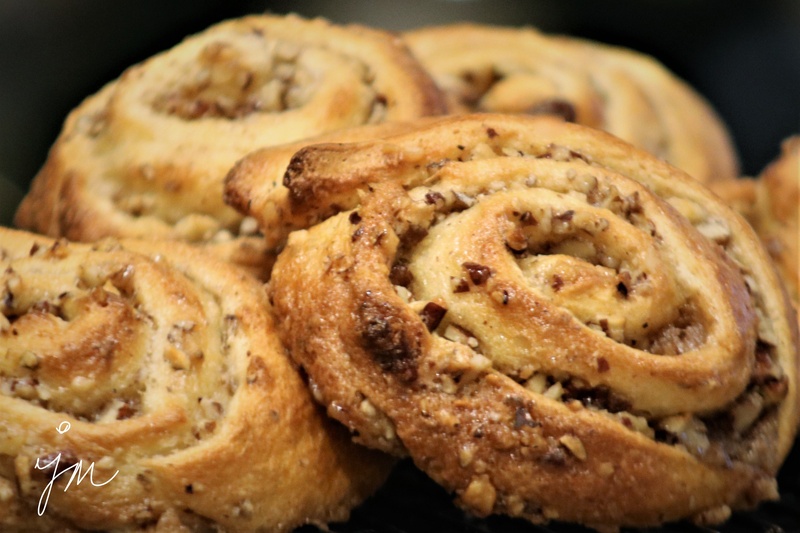 They are similar to Pecan Tassies, but a lot easier. The cookie is buttery and shortbread-like, while the filling is nutty and sticky and sweet and AMAZING! 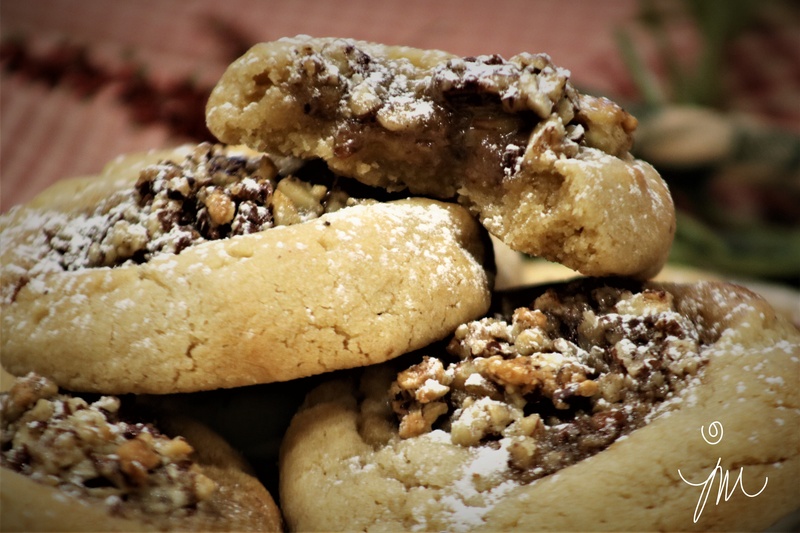 Hope you will give these yummy cookies a try for something new on your Christmas cookie baking list. I do believe these will become a regular in our home! Here is the recipe I found at Crazy for Crust, which I only slightly altered. Thanks for a great recipe, Dorothy! Optional: Powdered sugar for sprinkling on top of cooled cookies. Beat brown sugar, butter, egg, and vanilla in electric mixer until creamy. Add in baking powder, salt, and flour, and mix on low speed until well combined. Shape dough, two tablespoons at a time, into balls, and place the balls two inches apart on a baking stone or cookie sheet. Indent a hole in center with your thumb. Prepare filling by stirring pecans, salt, brown sugar, and vanilla with cream until it forms a thick mixture. Spoon approximately one teaspoonful into thumb indentation of each cookie. Bake for 10-12 minutes. Cool for 5 minutes on stone or cookie sheet before removing to rack to cool completely. Sprinkle with powdered sugar if desired. Cookies freeze well for up to a month. 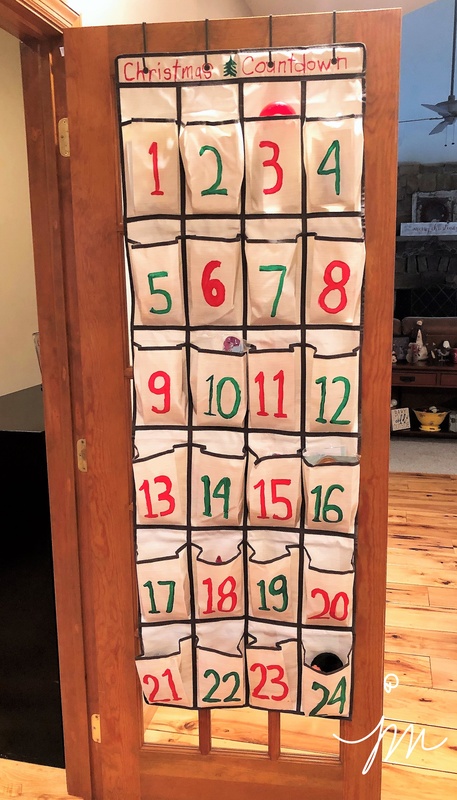 Easy DIY “Christmas Countdown” Advent Calendar. I’ve been dreaming of making this since summer…. and I finally got busy and did it this week. 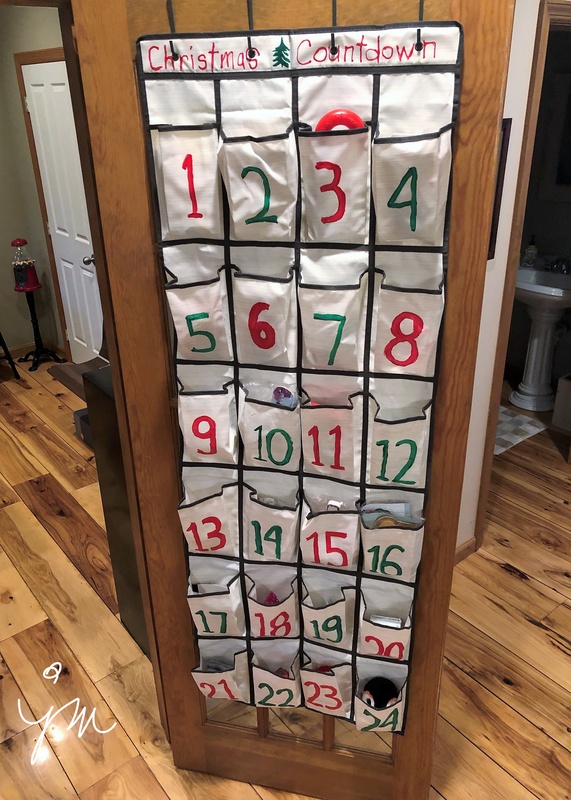 I was looking for a fun way for my granddaughter to count down the days until Christmas with a little surprise each day, so when I found this inexpensive Over the Door Shoe Organizer this summer, I knew just what I was going to do. 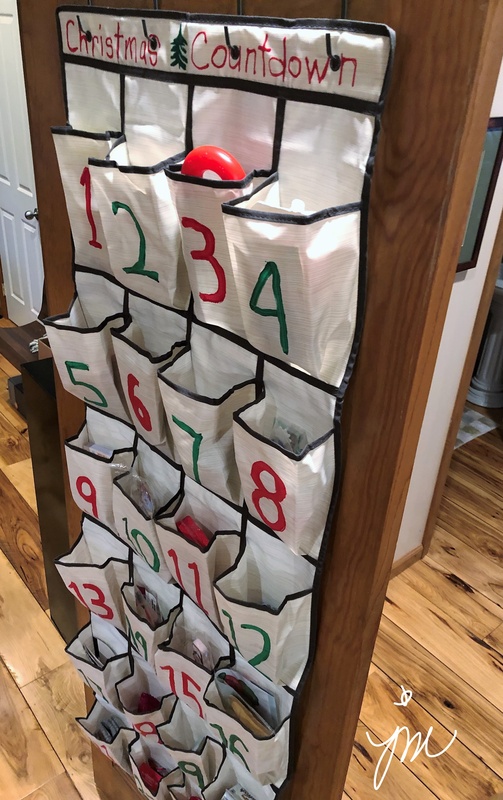 I used fabric paint to paint the numbers on each “shoe pouch” – just the right number for an advent calendar! And it was so much fun shopping for little toys and art projects and treats and hair bows and socks and mittens to fill all 24 compartments. I think the anticipation of Christmas is almost more fun than the day itself. I love the whole month leading up to it. 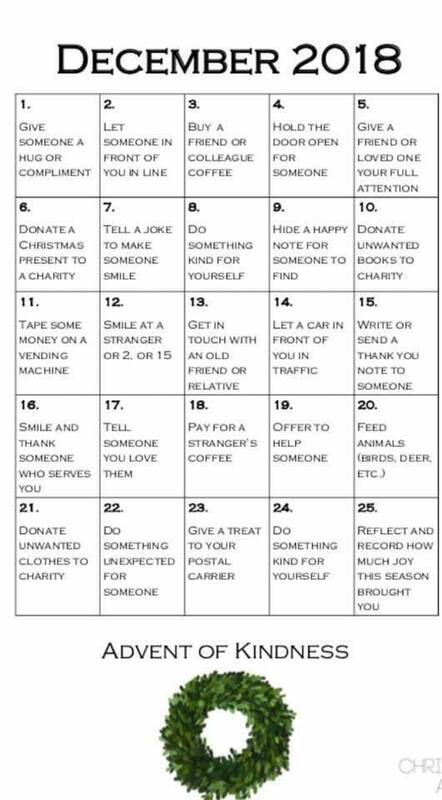 A friend shared this Advent Calendar of Kindness recently on Facebook, and I couldn’t resist sharing it too. Don’t let the stress of the materialism of the holiday ruin this special time. Small gifts of anticipation and everyday acts of kindness can make all the difference! It’s what we need more of. Cheesy Chicken Prosciutto Roll-Ups in White Wine Sauce. 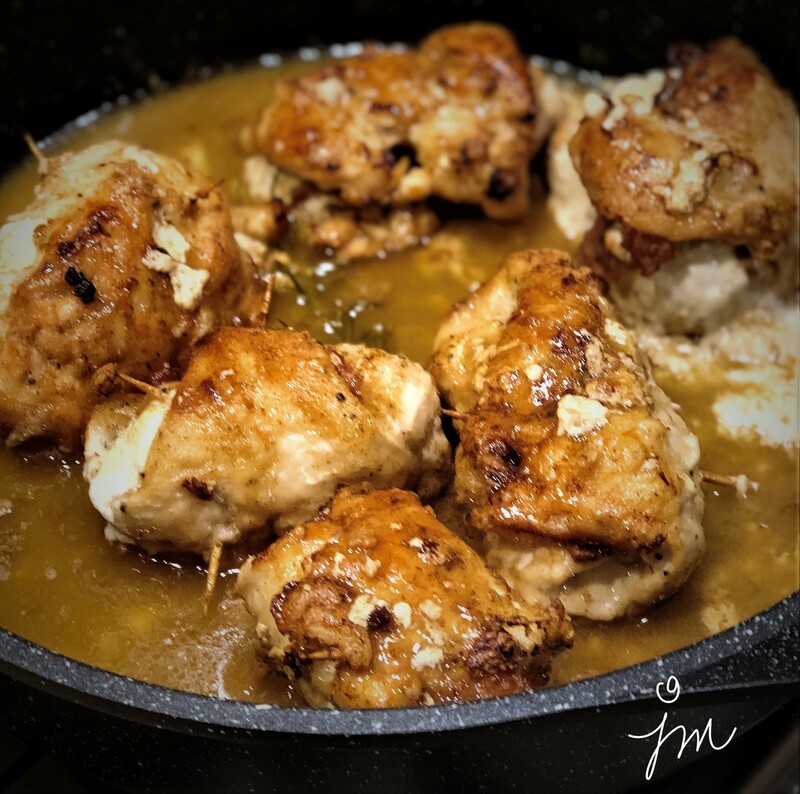 This past Sunday, I made a new recipe with chicken that turned out so yummy, I couldn’t wait to share. With a few simple ingredients, but also the finest you can find or afford, you can create this amazing dish in just a few minutes before putting in the oven for a half hour. Turn your sound on for just a few seconds, and click the arrow below to experience the glorious sizzling of these little gems as they brown in olive oil and a bit of butter! These chicken breasts, pounded as flat as possible, are stuffed with thinly sliced salty, high-quality prosciutto, fresh, creamy mozzarella cheese and a few simple spices before being rolled in flour and browned in olive oil and butter. 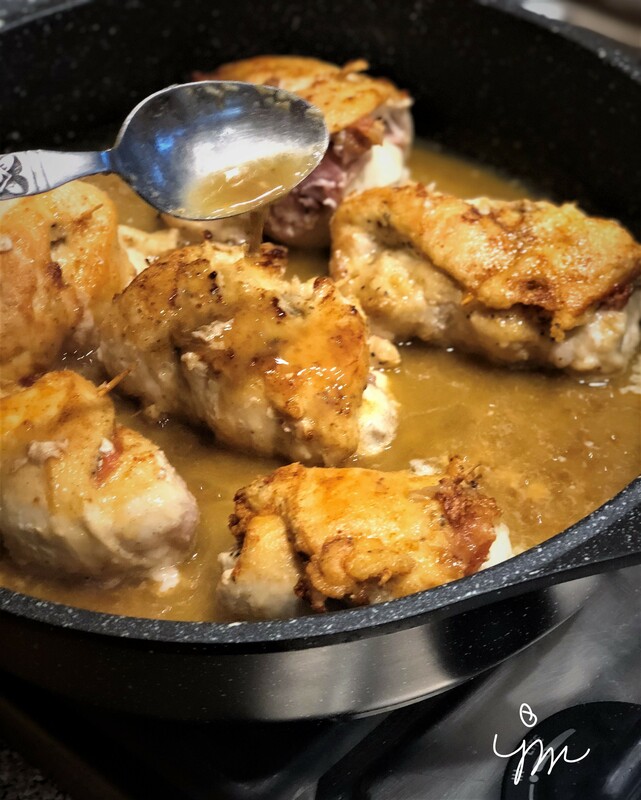 Once browned, white wine is poured in to blend with the browned bits and juices to create the most amazing gravy! We enjoyed our Cheesy Chicken Prosciutto Roll-Ups with a fresh garden salad. The only thing we were missing was some crusty bread to sop up every last bit of gravy. I cannot recommend this winner of a chicken dinner more highly. I slightly revised a recipe I found at mangiamichelle.com. Pound the chicken pieces until they are as flat as possible to about 1/3 inch thick. Sprinkle with salt and pepper and seasoning. Lay a slice of prosciutto on top followed by a slice of mozzarella. Roll up and secure with a toothpick or two to secure. Dredge each chicken roll-up in flour. Heat olive oil and butter in a large oven-safe skillet over medium heat. Brown each roll-up on each side for about 4-5 minutes. Pour wine over all, and stir up browned bits and butter to incorporate. Baste sauce over chicken. Place in oven, and bake for 30 minutes. 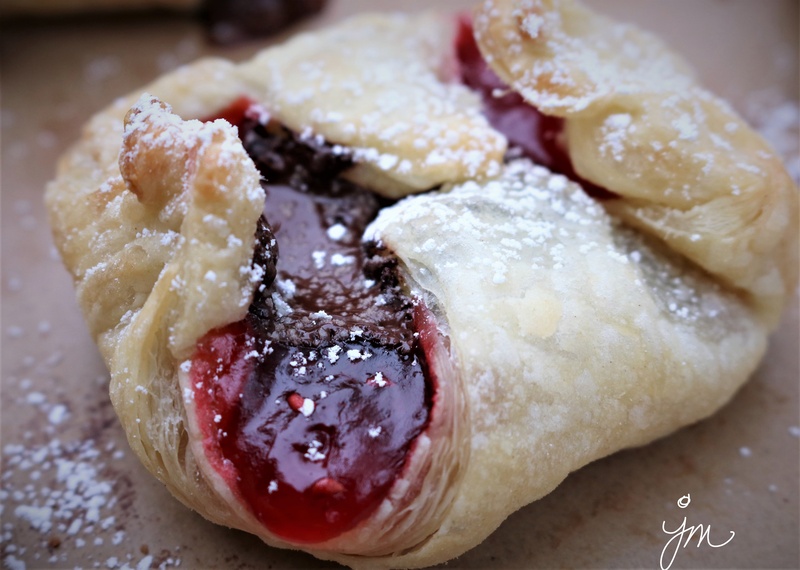 Red Raspberry Dark Chocolate Puff Pastry Tarts. Phew! That name is a mouthful…. But it really does say it all! 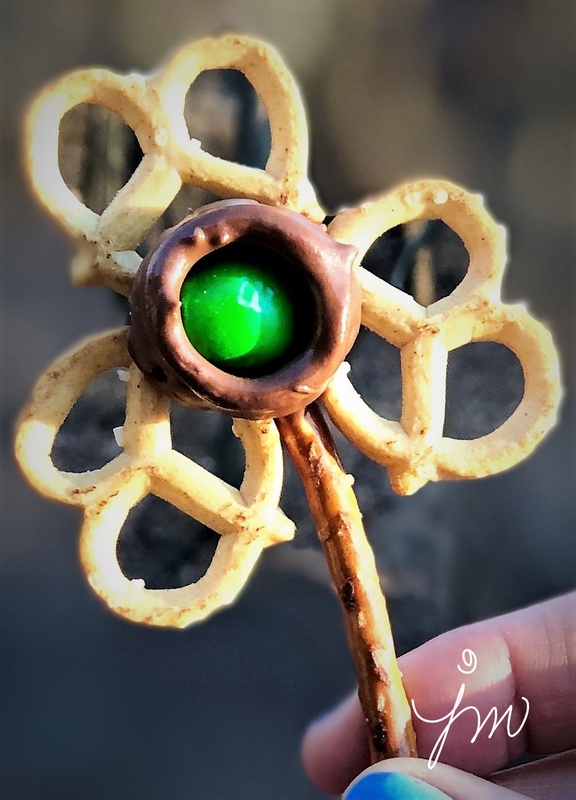 And I’m betting you would love a mouthful of these simple, but elegant and amazingly delicious treats! I made these this past weekend for a Sunday family football dinner. Would you believe me if I told you there are only three ingredients?!?! Well – four if you count the powdered sugar you sprinkle on top. Puff Pastry is such a dream to work with! 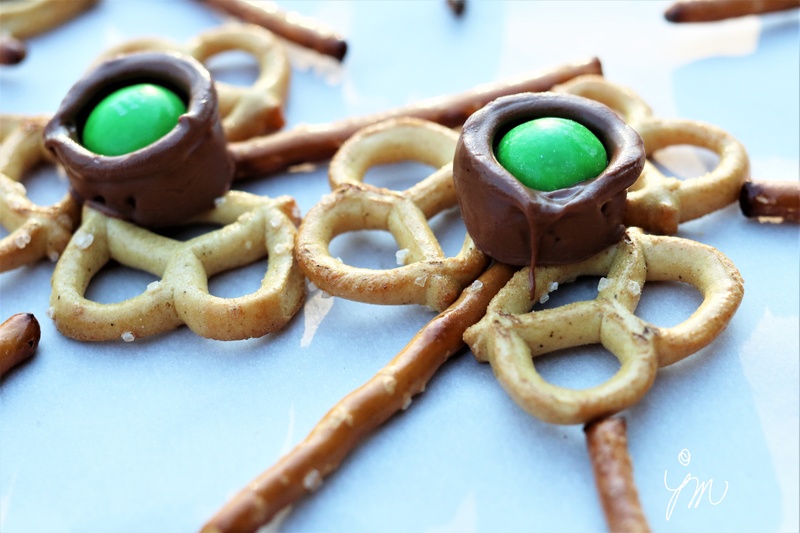 Keep these ingredients on hand and this recipe up your sleeve when you need a quick, but fabulous dessert or treat. 1 4.4 oz bar Moser Roth 70% Dark Chocolate (or your favorite), broken into 1 inch pieces. 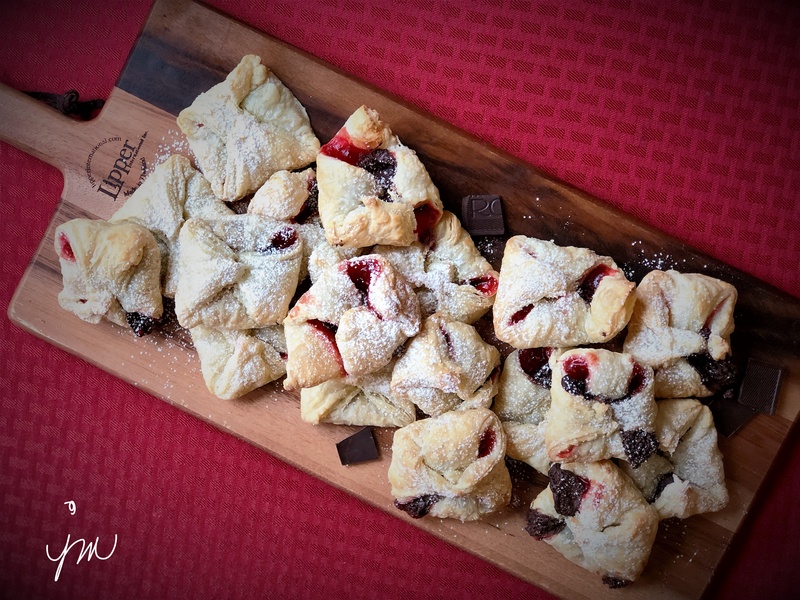 Roll out one sheet of puff pastry, and cut into 9 squares approximately 3 1/2 x 3 1/2 inches. Place a teaspoon of raspberry jam in center of each square. Top with a piece of dark chocolate. Pull all four corners to center and pinch to seal. 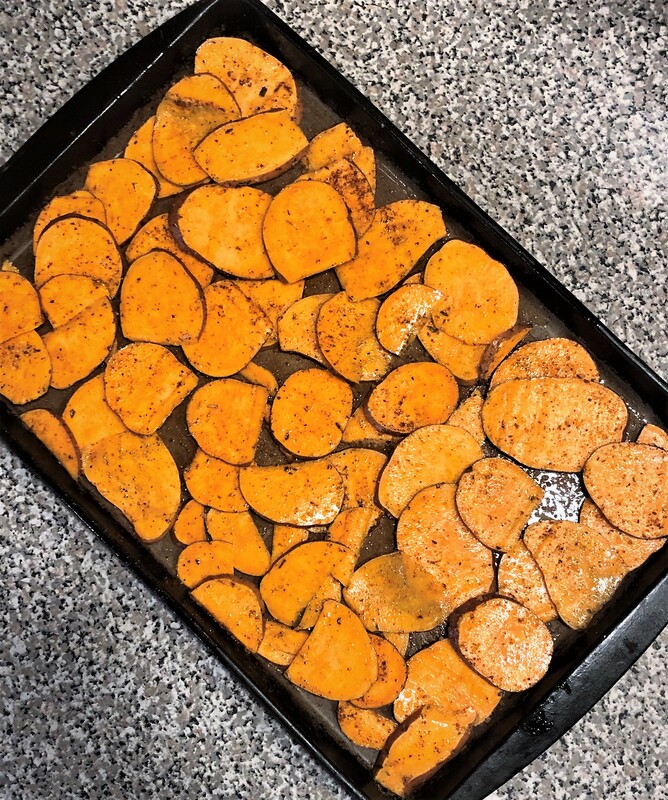 Bake for 15-18 minutes on baking stone or cookie sheet until puffed and lightly browned. Remove to cooling rack. Sprinkle with powdered sugar. 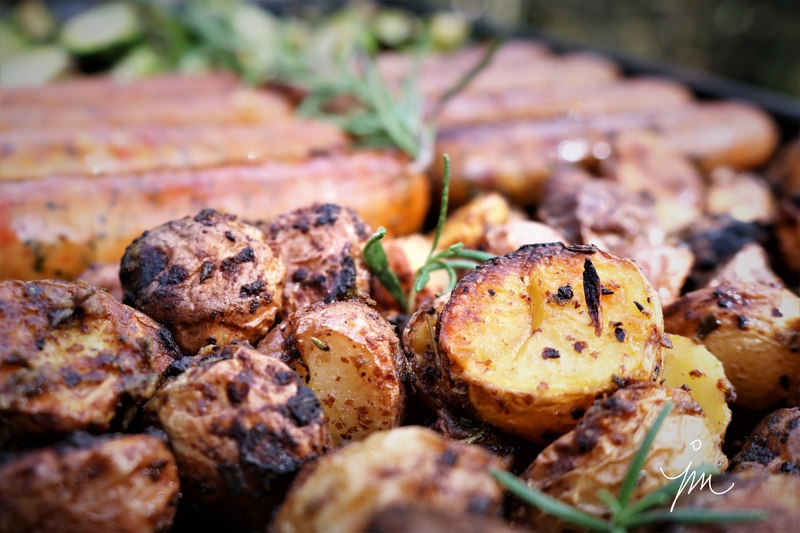 One-Pan Mustard-Roasted Potatoes, Brussels Sprouts, and Sausages. You totally have to love when your grown sons start sharing recipes with you! I am so proud of the great cooks they have both become (and so happy for the lucky wives they have because of it!!!). 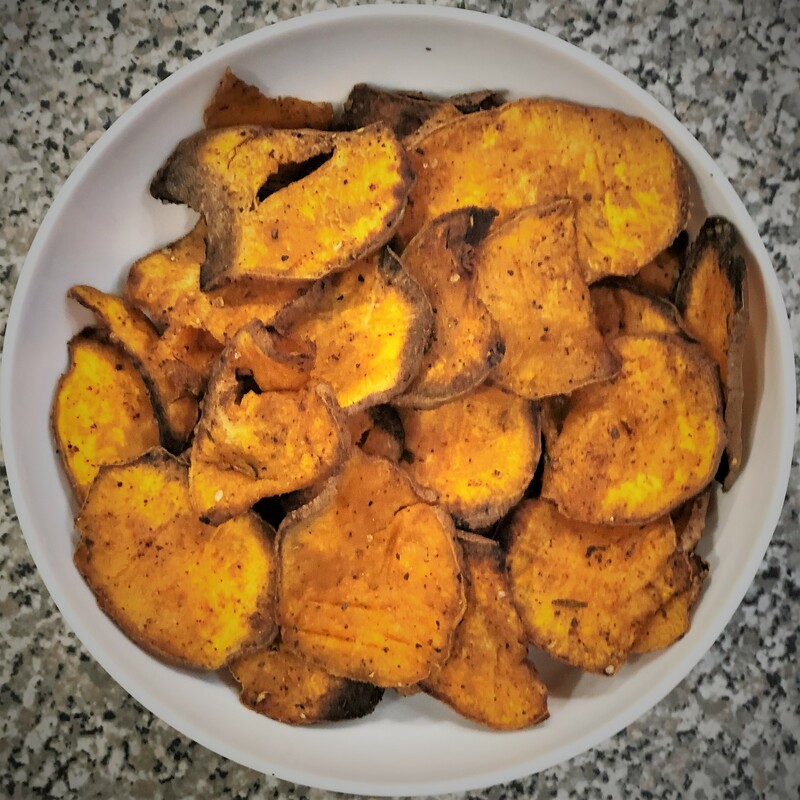 My younger son shared this recipe recently he found online at slenderkitchen.com. I tweaked it up a bit by changing garlic salt to fresh garlic, oregano to rosemary, doubling the sausage, and zipping it up with horseradish mustard. It is a healthy, clean eating meal that is gluten-free and Paleo as well. But it is also super delish! 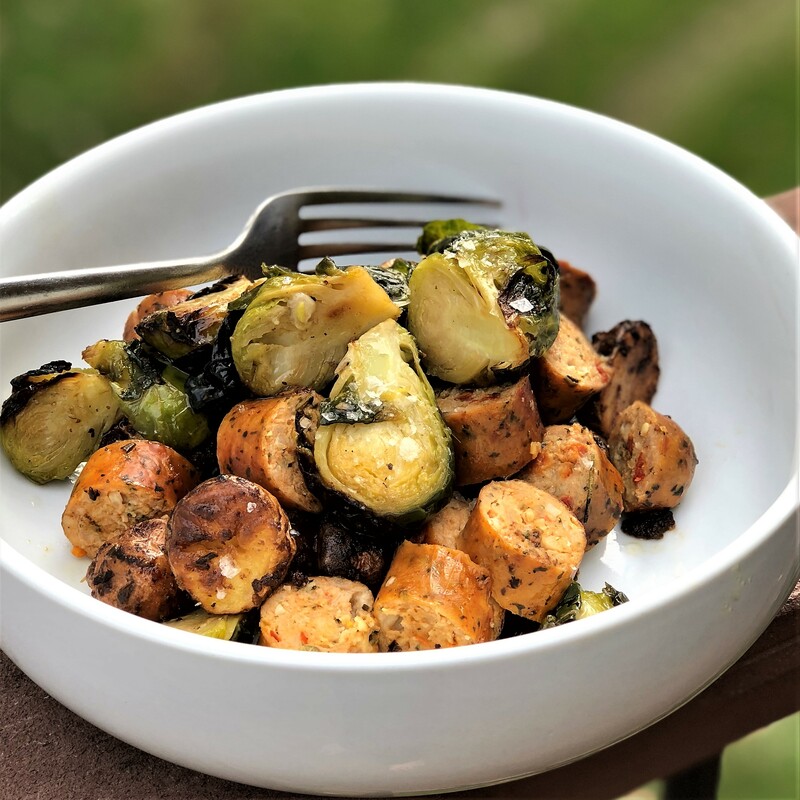 Imagine a pan full of crispy roasted potatoes coated in a mustard-garlic glaze, caramelized Brussels sprouts, and hearty sausage that only takes about 10 minutes to throw together. One-pan meals are so awesome, and I love making something that also serves as an extra lunch or two to take the the office and dinner another night that same week. 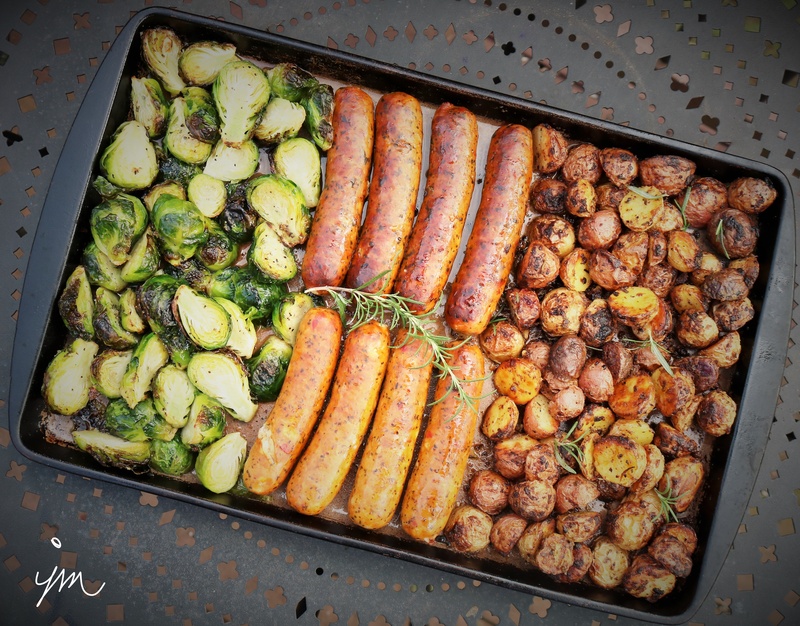 I roast it all up in my all-time favorite baking pan, the Pampered Chef Large Stoneware Bar Pan. It is so worth the investment for how beautifully and evenly it bakes and roasts. I use this pan at least once a week for roasting veggies or baking. I can’t imagine my kitchen without it. Here is the recipe for how I made it. Tweak it up to your tastes and share your ideas! You could use butternut squash instead of potatoes, cauliflower or carrots or green beans instead of Brussels sprouts. The ingredients and combinations are pretty limitless. Mix together 2 Tbsp olive oil, mustard, garlic, rosemary, salt and pepper. Toss the potatoes with the mixture, and spread out in a large baking pan. Roast in oven for 25 minutes, tossing once or twice during roasting. Remove pan from oven and push potatoes to one side. 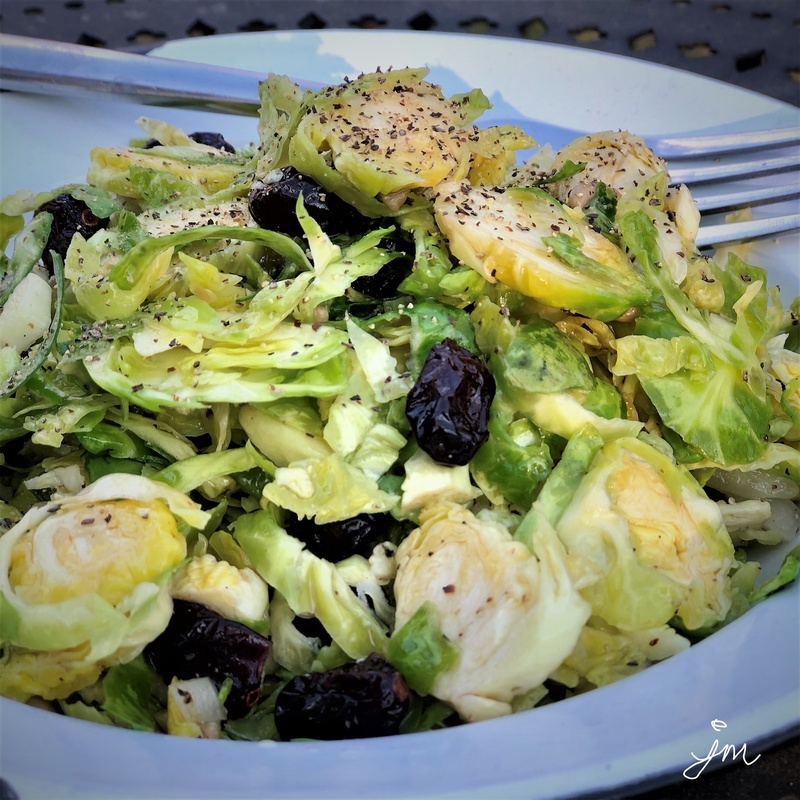 Spread out Brussels sprouts on other side of pan evenly. Drizzle with olive oil and sprinkle with salt and pepper. 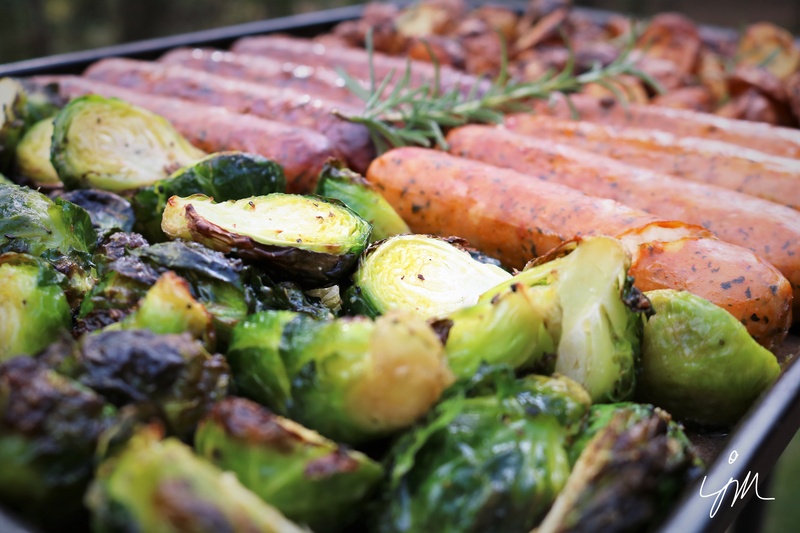 Place the chicken sausages in the middle of the pan between the potatoes and Brussels sprouts. Increase oven temperature to 475 degrees F, and place the pan back in the oven to roast for another 15 minutes. Shake the pan once or twice during the roasting time to ensure even roasting. To serve, slice sausages into bite-sized pieces and toss all into a bowl. Before we fully embrace all things pumpkin and apple and cinnamon and spice for Fall, I decided to slide in one last “Summery” pie for the season a week or so ago when my youngest son and his wife came over for dinner (knowing this is one of his faves). 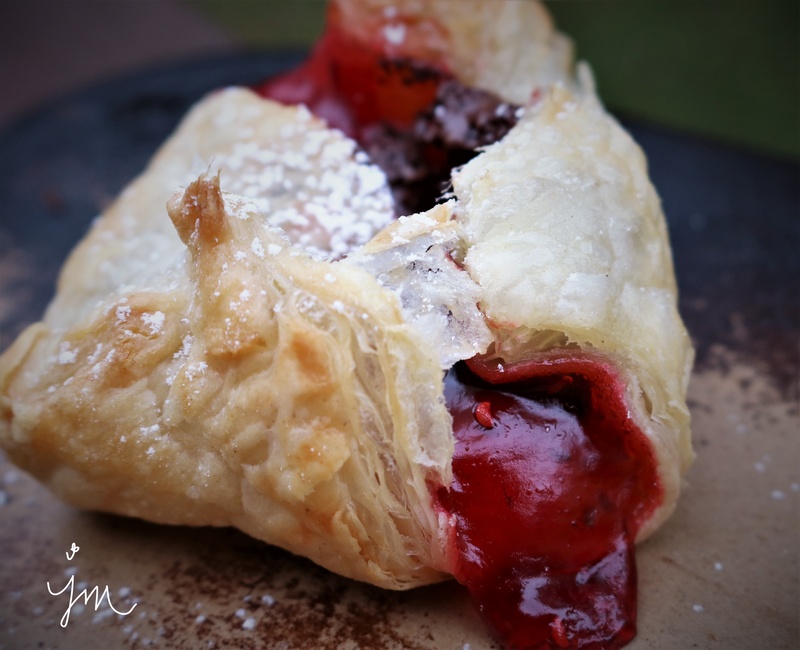 Fresh red raspberries are such a treat all by themselves, but baked to overflowing with a bit of tapioca inside a tender flaky pastry crust is pretty close to heaven. Fresh red raspberries used to be a rare find in our part of the world, but they are quite prolific in the grocery stores year-round now. Buying enough for a pie can be a bit pricey, but worth it for a treat every once in a while. 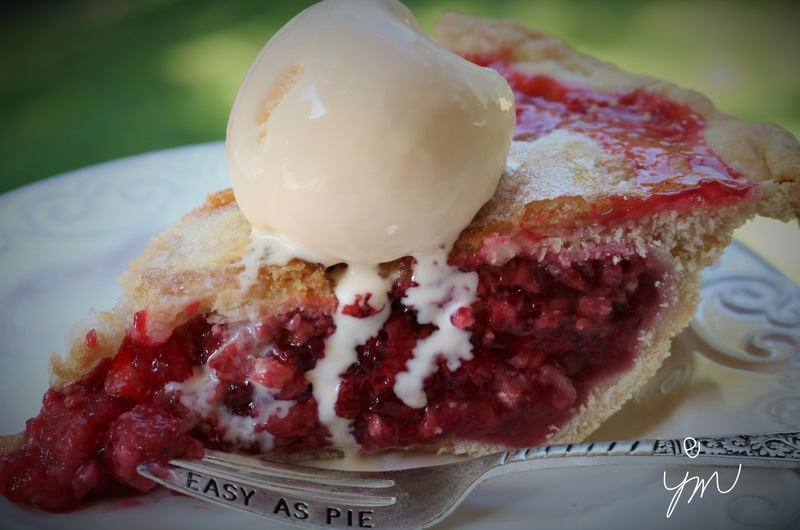 Grandma always said the only way to know when a berry pie is done is when it bubbles over into the oven, so that is how I gauge the time too! Here is my simple, old-fashioned recipe. 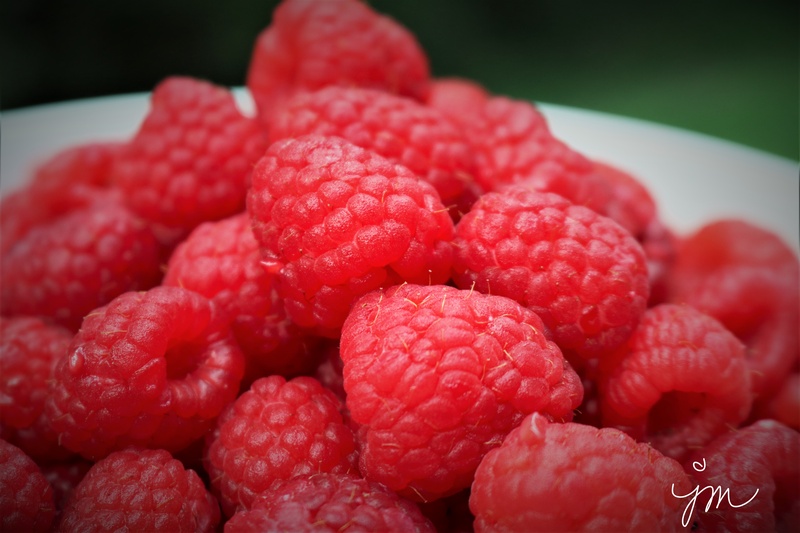 Prepare filling by blending raspberries, sugar, tapioca, lemon juice, and salt in a bowl. Let sit while you prepare crust. Prepare crust by blending flour, Crisco, and salt in a large bowl with a pastry blender until crumbly. Add cold water and gently mix just until able to form a ball. Divide dough in half, and put one half on floured surface to roll out. IMPORTANT: Do not overwork the dough. It is not bread dough that needs kneaded. 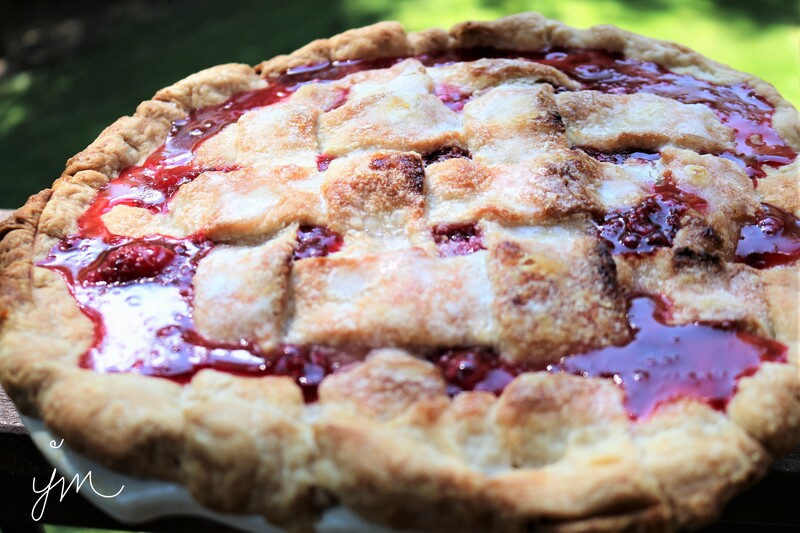 The more you “work” pie crust, the tougher it will become. The less you play with it, the more tender and flaky it will be. Roll out first half using heavy floured marble rolling pin into a circle large enough to fill 9″ pie pan. Lift it from the surface to your pie pan by folding it into quarters, then unfold it in the pan letting it hang over edges. Roll out other half of dough into rectangle and cut into 8 strips to weave into a lattice topping. Pour filling into bottom crust. Top with 4 strips going same direction. Weave by lifting two alternating and place one the opposite direction, the lifting the other two, and repeating. Pinch top to bottom doughs together all around edges. A nice finishing tough is to brush crust with some water and sprinkle with coarse sugar. Bake in 425 degree oven for 15 minutes. Reduce heat to 375 degrees F, and bake until crust is golden and filling is bubbly, about 30 minutes more. Serve warm or cold topped with a scoop of vanilla ice cream!